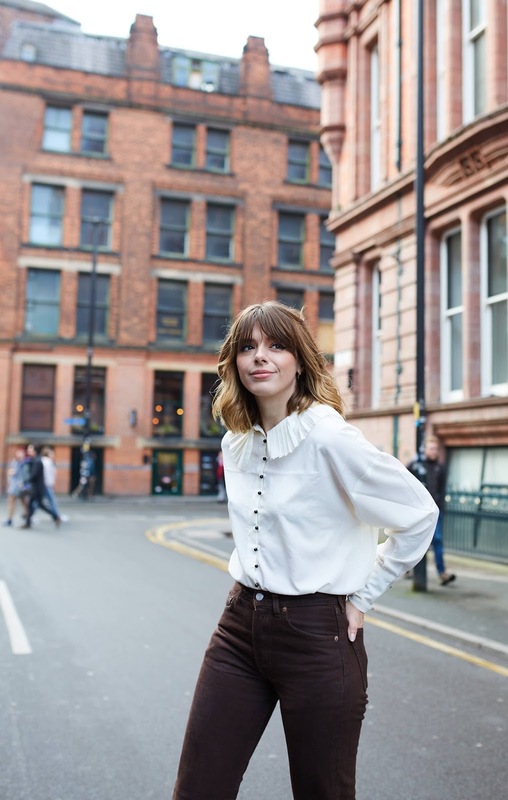 Sophia Rosemary | Manchester Fashion and Lifestyle Blogger: Blue Jean Baby, Vintage Lady. Blue Jean Baby, Vintage Lady. I absolutely love sharing my favourite vintage finds with you guys/anyone who cares because finding the perfect vintage piece is like finding buried treasure and it's something to be proud of. That said I completely appreciate the frustration you feel when you're admiring someone's outfit only to discover it's made up of a one off piece they found at the bottom of a bargain bin at some obscure vintage flea market. It's not fair but it's also one of the joys of shopping retro. 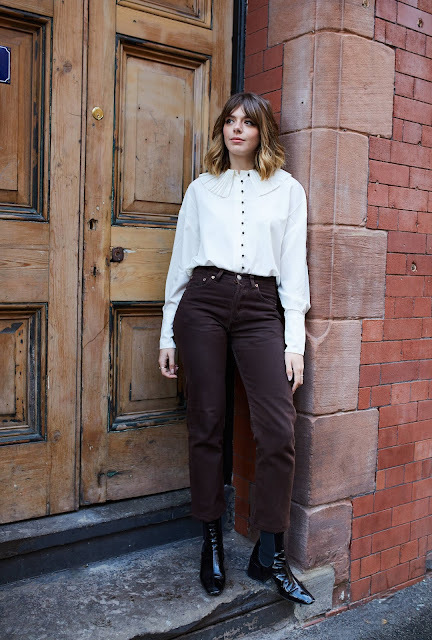 One of the biggest questions I get asked on my Instagram is where did I get my jeans and I almost feel the need to apologies when I have to answer they're vintage because I realise that's a pretty useless response. Rome wasn't built in a day and the jeans of your dreams (dreans/jreams?) won't just fall into your lap. Like I said hunting down the right denim for you can take months or even years. You'll even find you come close on multiple occasions, continually buying/collecting the same jean which is sort of right but not 100% there. Perseverance is key and if you can't hack the wait than I suggest you grab yourself a pair of Topshop Mom jeans and accept this is as close as your going to get (they really are a great substitute but they aren't the only alternative out there, keep reading to find out more). 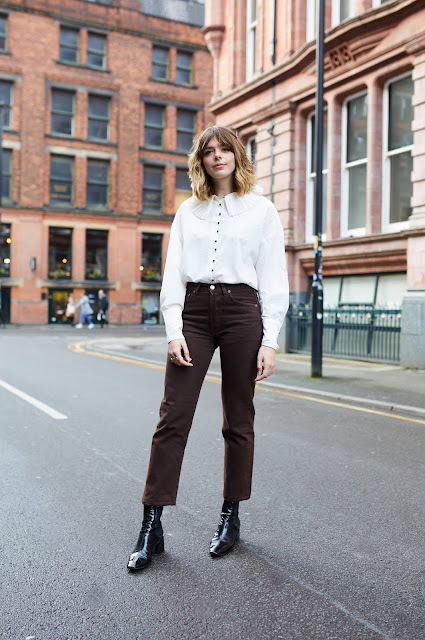 I was going to put this post up there with the other "lazy girl's guides" I'd written over December but felt that would have done vintage jean shopping an injustice because it's anything BUT idle. Just as with the rule above, if you're not prepared to really, truly search than you need to really question how much of a keen vintage shopper you are! Sorry I'm just being cruel to be kind! 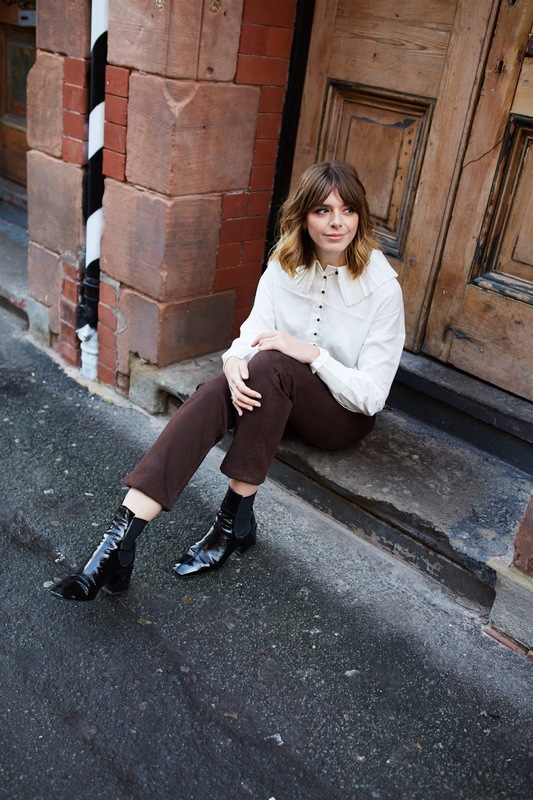 Some of my favourite vintage pieces have been at the top of my mental wish list for absolute yonks and I've spent years religiously hunting them down. You've got to put in the leg work, excuse the pun. I would always suggest where possible doing your vintage jean shopping in real life not online... In fact I would always advise this for all jeans, new and old. Lord knows, denim shopping is like a work out, it can often be a touch soul destroying and I defy anyone to do it and by the end of the day NOT claim they're going on a diet. It's intense but trying on jeans is a must and that's where online shopping falls short especially when you enter vintage into the equation. Try and try again. I would advise taking at least 5-6 pairs into the changing room with you, if not more! The more you try, the more you're bound to find the right pair for you and it's great to have a little bit of comparison. 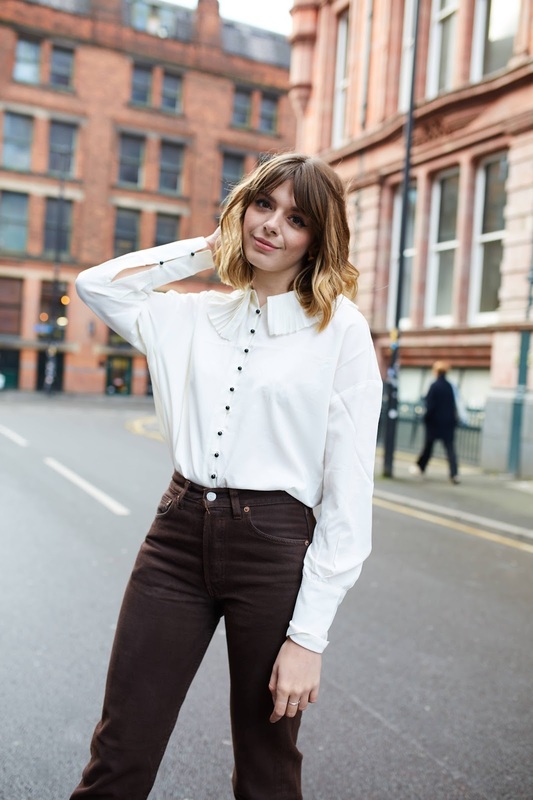 Vintage sizing is off (I'll discuss this further in the next point) so it's vital you don't just buy on a whim straight off the hanger. I know, I know! It's an effort and you really can't be bother because it's cold, you're wearing ten million layers and you want to get home pronto so you can whip your PJs on and pretend jeans never existed. But (and don't say I didn't warn you) the chances are if you decide to skip the changing room in favour of trying jeans on in the comfort of your bedroom, you'll find they either can't budge past your big toe or you can fit your entire body plus your cat in one leg! And to make matters worse you're now down £20 because most vintage shops are nonrefundable. Basically the moral of the story is... Don't risk it! First lesson of vintage shopping is do NOT go off the size in the label... If there even still is a label. And this is why shopping vintage jeans is such a mine field- you no longer have the comfort of regulated high street sizing to fall back on. Times have changed and apparently so have sizes. Every decade size specs alter- what was a UK size 10 in the eighties is more than likely a UK size 8 now. This is just nature- the lovely ladies of the fifties and sixties were teeny, weeny in comparison to us millennials! And no I'm not trying it give you a complex, these are the facts. As times gone by we've simply grown taller, our feet longer and our hip measurements wider. Size grading has had to evolve along with us and this needs to be taken into serious account when shopping for jeans. So there's a little logic behind it or so I've tried to piece together anyway. 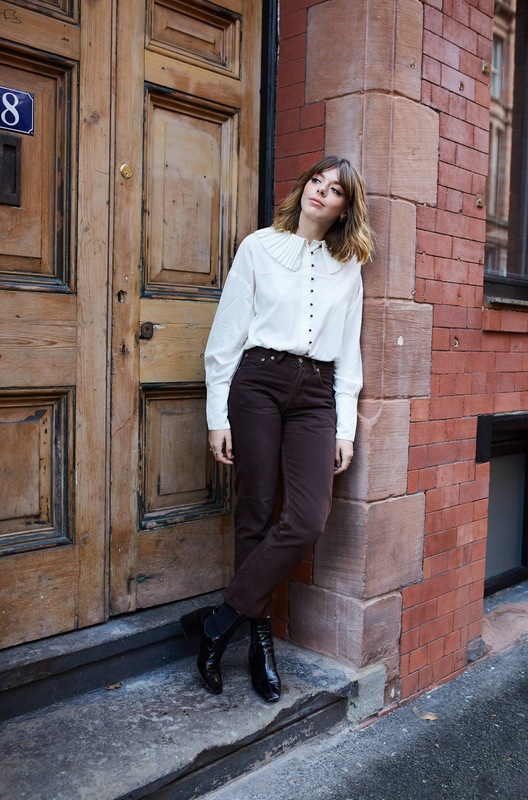 Generally speaking if you're looking for a classic Levi's 501 circa Eighties/Nineties you want to be vaguely going for jeans with a label TWO sizes up from your regular size. For example I take a 26/27 inch waist in modern jeans so I generally look for vintage jeans with a 29 inch label. 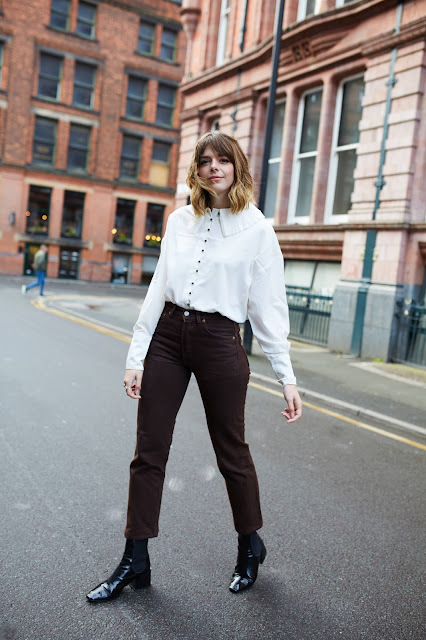 Vintage leg lengths however I tend to find are actually more true than modern day jeans ironically- I wear a 34" leg in Topshop even though I'm a very average 5ft 6" tall, but in vintage a more believable 32" leg is A-OK for my pins! Now these rules don't necessarily work every time but they're a great guidance when shopping in store and could help sway your decision on which to take in the fitting room. If your shopping on Depop, Ebay or Etsy ask the seller for the actual measurements so you can compare like for like against yourself- this is one of the beauties of shopping online. Unfortunately if you entered your local vintage store armed with a tape measure you might like a little odd meticulous sizing up every jean on the rail. 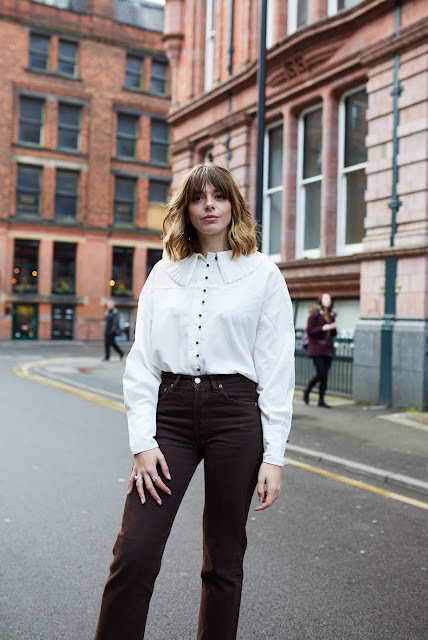 Vintage denim is a tough old thing and unlike a lot of the jeans available on the high street it lacks any elastin in it's fabric which means it won't stretch and tighten to your bodies lovely curves. This can feel like a bit of bummer when pulling a pair of jeans on is such hard work it needs it's own coffee break but fear not and keep on hoisting! It's actually GOOD to get a slightly snug pair because although they may make you feel light headed and possibly fear all your blood circulations has left your legs and gone to your head, they will loosen up and mould a lot more nicely to your body than elastin denim ever did. I promise, once the fabric gives a little they'll be so comfy you'll want to sleep in them. Lastly it's really important to remember that one of the lovely little perks of vintage denim is that it comes with its flaws but that's exactly what makes them so special and authentic. Every rip, fray or fade just adds character to the denim and makes your perfect pair of vintage jeans unique for you. If they were still box fresh indigo blue with not a sign of wear in sight than what would be the point? You have to remove any snobbery you have about a fray on the pocket or a pull on the hem- it's nice! Just grunge it up a little. 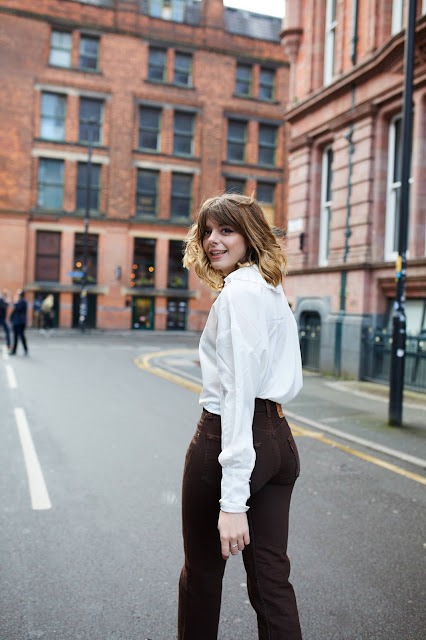 I really hope these five little tips and tricks help you on your adventure for the perfect vintage jean and I wish you all the luck in the world but if the struggle does get a little too real for you than just know all is STILL not lost... Vintage jeans are in such high demand at the moment! So much so that a lot of the heritage denim brands have taken this lust for old school on board and created reworked versions of some of their most classic styles. You can now buy the retro jean you've been searching for without a care in the world. I suggest trying out Levi's Vintage range which is made up of their staple shapes in the last 100 years (the "1950s" are a personal favourite cut of mine). Levi's also have their Orange Label capsule collection inspired by seventies denim, Wrangler launched a similar series for their birthday titled "70 Years". Or if you like the idea of mixing the old with the new, high end label Redone offers reworked vintage Levi's in all shapes and sizes. 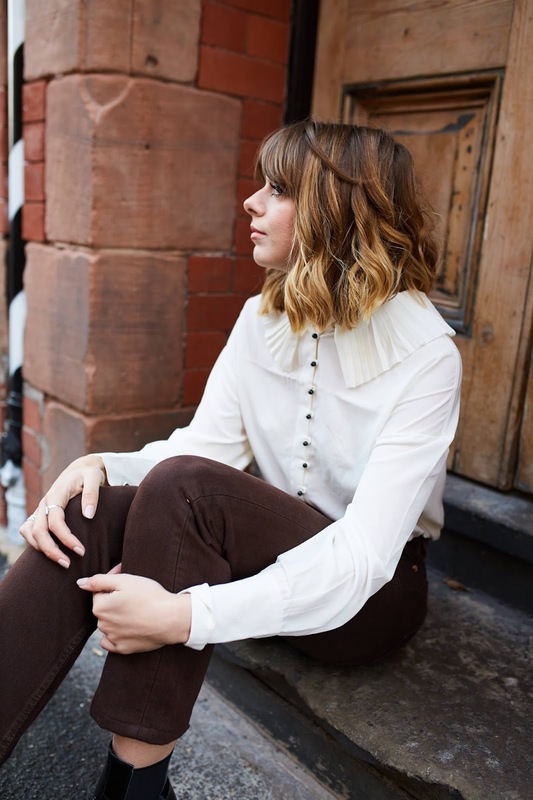 Alternatively if you're on a budget I would highly recommend browsing Nasty Gal's After Party range which- like Redone- is made up of true vintage with a twist! Your perfect vintage jean is out there and it's just waiting to be found. Hmm it looks like your blog ate my first comment (it was super long) so I guess I’ll just sum it up what I wrote and say, I’m thoroughly enjoying your blog. I too am an aspiring blog writer but I’m still new to the whole thing. Do you have any helpful hints for rookie blog writers? I’d definitely appreciate it.